How might we harness the artistic spirit and creative energy of the Watts community to drive purposeful play and innovation at school? No Right Brain Left Behind and Green Dot Public Schools reached out to TheThirdTeacher+ in the spring of 2013 after winning an LA2050 grant to transform Locke High School library near Los Angeles, CA. Green Dot Public Schools is a charter organization known for transforming the cultures of the lowest performing schools in the Los Angeles area into safe, academically rigorous, and college-prep environments. 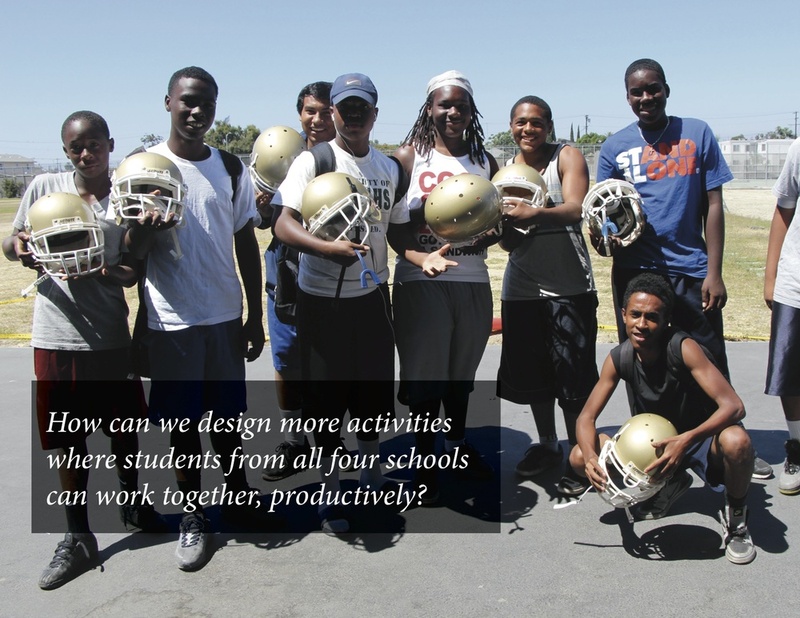 The recent restructuring of Locke High to four small academies gave the design team a unique charge: How can we create a collaborative space where students from all four schools can challenge each other productively? No Right Brain Left Behind founder, Viktor Venson believes a shared space for creative exploration can re-energize the entire community. After a brief discovery process, we prompted mixed groups of students, teachers, and administrators to design the mindset and activities of the new creative space, arranging verbs and precedent imagery into a bubble diagram. 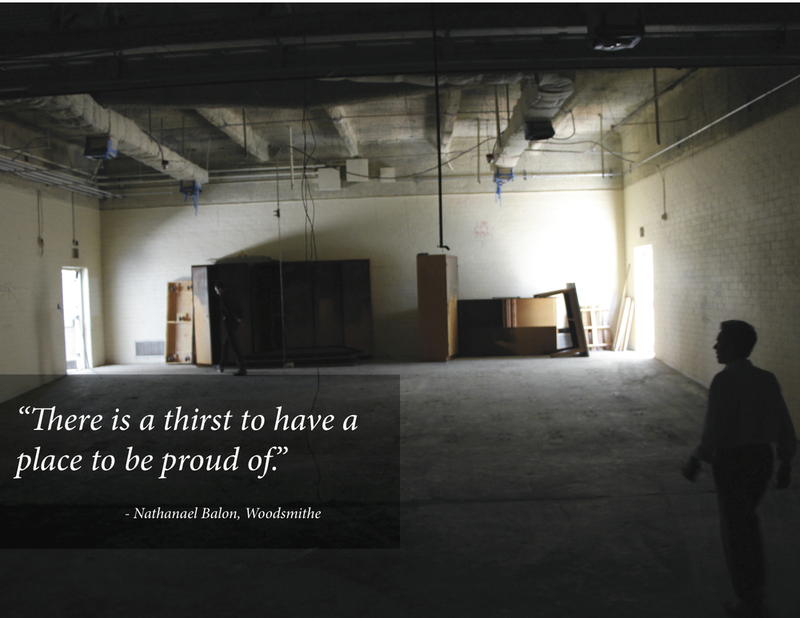 This early engagement acted as a catalyst for ongoing discussion about creative partnerships and programs for what is now the renovated library called the JetSpace. This was my first time working on an interdisciplinary team of brand strategists, educators, and videographers; I contributed engagement strategy, workshop facilitation, conceptual design, synthesis, and process photography.